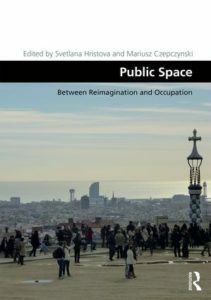 Описание: Public Space: Between Reimagination and Occupation examines contemporary public space as a result of intense social production reflecting contradictory trends: the long-lasting effects of the global crisis, manifested in supranational trade-offs between political influence, state power and private ownership; and the appearance of global counter-actors, enabled by the expansion of digital communication and networking technologies and rooted into new participatory cultures, easily growing into mobile cultures of protest. The book examines, in a comparative perspective, sociology as practiced in six European Communist countries marked by various forms of totalitarianism in the period 1945-1989. In contrast to normative sociology’s view that such coexistence is essentially impossible, the author argues that sociology could function in these undemocratic societies insofar as sociologists succeeded in establishing relatively autonomous institutional and cognitive zones. Based on the self-reflection of scholars who had practiced their profession during that period, the book reveals the tribulations of the scientific identity of sociology under the specific social-political conditions of totalitarian societies. It becomes evident that the basic principle that made sociological knowledge possible was freedom of thought in search for scientific truth despite the ‘truth’ imposed by political authority.